My dad taught me to run 5k and 10k races by just getting to the next telephone pole, then the next one, then the next one. After reading The Dream Manager by Matthew Kelly, I wrote out a list of 100 dreams for my life. At first 100 seemed impossibly many to even think up, but once I really got thinking about dreams, more kept popping into my head (my list is currently just over 100 and still growing slowly). What are your 100 dreams? It’s wonderful to look at a beautiful church and to see how much the designers loved God. 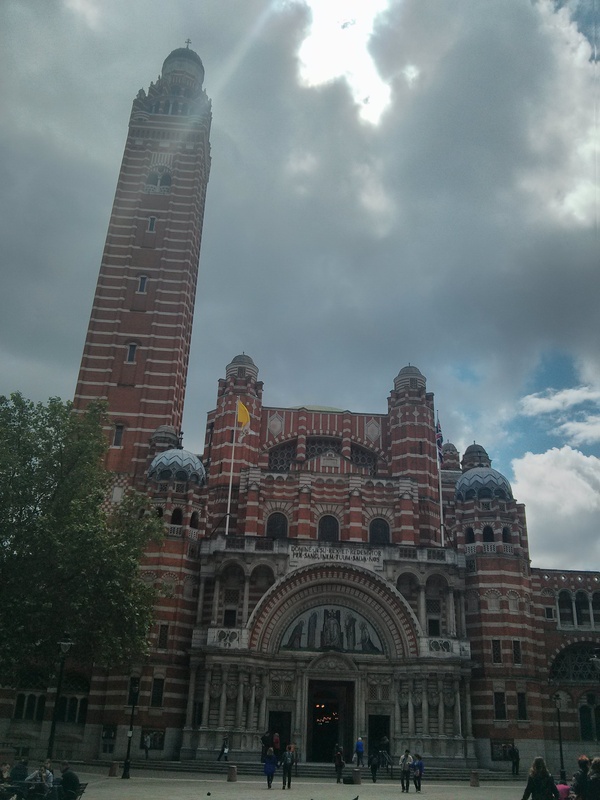 Westminster Cathedral in London has such a lovely façade. We went to Mass there on Thursday on our week in London. Author Kate DPosted on June 12, 2014 June 12, 2014 Leave a comment on Rejoice Always! The Next Telephone Pole Create a free website or blog at WordPress.com.